A traditional Maori powhiri/welcoming ceremony awaits your arrival into our home, where you will be connected with our culture and the protocols that we still hold strong to today. 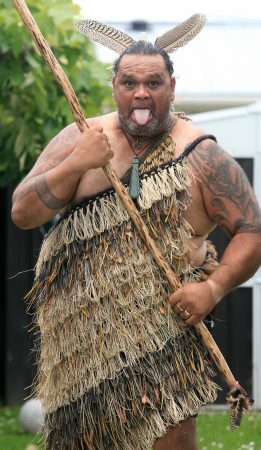 Amazing storytelling and Maori mythology will be shared, participate in the art of traditional weaving, and learn a fun Maori song that you can take home. You will prepare your own hangi lunch, with a modern day twist. We will leave lunch to cook on red hot rocks whilst you are taken on a journey visiting some of our favourite places around our home Whangarei, where we share the beauty and stories of Aotearoa through our eyes. We will return home to the smell and enticement that you can only get from a Hangi, ready for your enjoyment. After fulfilling your mind, body and soul, we conclude our day with a traditional whakawatea/farewell before you are returned back to your pick-up point. This is an unforgettable 5 hour experience from pick up at 9am to drop off at 2pm. Sure to create friendships and memories that will last a lifetime. Pa Sites and sightseeing – A tour around some of our breathtaking sights of Whangarei where we share the beauty and stories of our area. Hakari – Preparing and enjoying your own hangi lunch using all locally grown produce. $290NZD per person (min 2) Discounts for children, see booking page. If you have limited time here in Whangarei, this tour may be more suitable. Whakatau – An introduction and welcome to Whangarei – Te Terenga Paraoa – The Gathering place of the whales. Tour – We share the stories of Aotearoa through our eyes whilst visiting some of our special places in Whangarei. Waiata – Learn a fun Maori song along the way. Includes pick-up and drop-off from Whangarei City accommodation or either I-Site visitor information centres. $95 NZD per person (min 2) Discounts for children, see booking page. What are you waiting for? Book your Tu Tika Tour Today! © 2019 Tu Tika Tours. All Rights Reserved.